Our customers are the most important and we welcome them with the best services, striving to make the trip safe and comfortable. Enjoy the professional drivers who most highly experienced and qualified drivers available in the industry. The prices include all fees: highway use, parking fees, flight delay, Meet & Greet services, all taxes and VAT. Prices are valid for one way. Today’s cityscape of Debrecen is determined by buildings erected in the 19th and 20th century. Beside the Great Calvinist Church, the Reformed College, the Old City Hall, the main building of the University of Debrecen, the Piac Street with its downtown civil houses and mansions, however, there stand the architectural achievements of the 21st century: Kölcsey Center, MODEM Center of Arts and the building of Hotel Lycium, the modern shopping center designed to host the future chamber theatre of the city in Csapó Street. The scenes of these wonderful buildings are indeed great experience on their own. Nevertheless, from another perspective they are just backgrounds for all those values that they hold, that are worth looking at: the interiors, galleries, exhibitions. And they lay in the background of those events – the Debrecen Flower Festival, Cívis Esplanade, the events of the Spring Festival, outdoor concerts – that are inevitable spectacles of this city from year to year. The Déri Legacy is an unmatched, unique collection among the Hungarian museums outside Budapest. This collection of the Déri Museum hides special Egyptian, Greek, Roman, Chinese, Japanese, Korean, Mongolian, Indian pieces. Its abundant arms collection includes fighting equipment from ancient times and the migration age. It has an incomparable collection of numismatics. A pride of the Museum is the monumental Christ trilogy of the painter, Mihály Munkácsy. 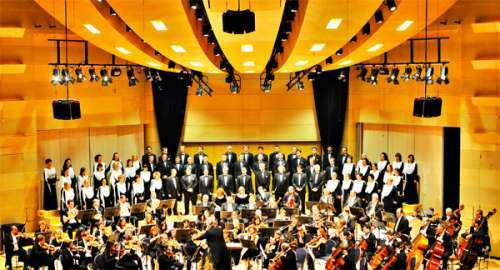 As for music, in the past it was Bartók Béla International Choir Competition and the Jazz Days of Debrecen that first occurred to the lovers of music when the name Debrecen was mentioned. These events of high prestige have remained the pillars of the city’s musical life, yet nowadays this sanctuary of music has come to be engirdled by a full-rounded peristyle. A folklore festival has been added to the choir competition, every year sees thematic philharmonic series, while great pianist prefer coming to the city to deliver concerts for playing in the company of a Bösendorfer Imperial grand piano. Lighter styles are not solely represented by jazz any more. In recent years, such world stars have taken the stage in Debrecen as Jean Michel Jarre, George Duke, Lenny Kravitz, Iron Maiden or Branford Marsalis. Campus Festival has become an organic part of the city’s summer cultural offering, as it has been able to bring a large number of Hungarian and foreign bands being popular with the younger generations to the city. 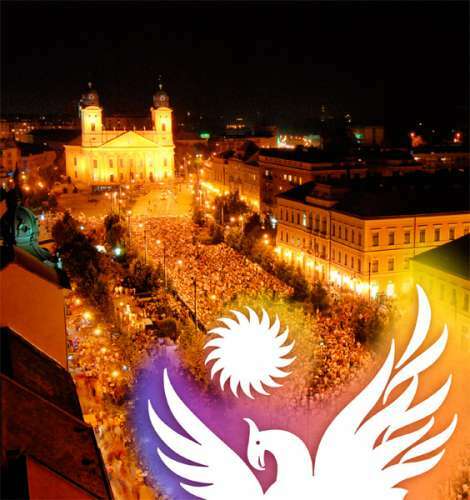 The Spring and Autumn Festival of Debrecen offer performance opportunities primarily for Hungarian productions, yet reputed foreign artists and art groups can also be seen within the framework of these program series. These eventful festivals schedule concerts of classical music, jazz, pop and rock, exhibitions of fine arts, movies, theatrical performances and dance shows alike. 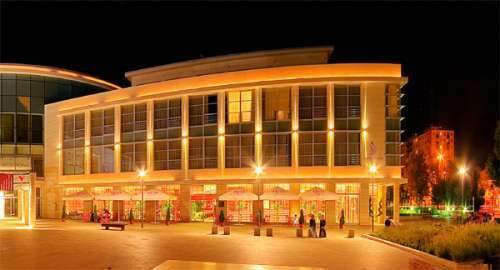 Debrecen does have various opportunities for night entertainment. There are several concert venues, music and dance clubs awaiting those wishing to have good times in the city. 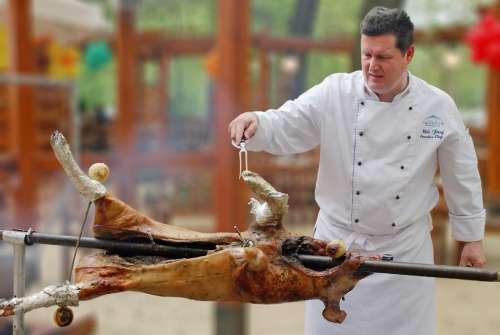 The stuffed cabbage of Debrecen, pork soup, Hortobágy style meat pancakes, Slambuc, specialties made from the meat of grey cattle, fish soup from the bio-fish of Hortobágy, Debrecen sausage, bread dough, dishes made in the stove. These enticing delicacies are all available during the Turkey Days of Debrecen and Wine Carnival held in the city center in the summer, the gastronomic festivals of the Fish Sundays of Debrecen in the winter, as well as the Cívis Esplanade and Christmas Fair for visitors ready to take culinary adventures. On the other hand, the attractive restaurants of the city are open all through the year to offer guests such dishes being characteristic of the region that cannot be tasted anywhere else. Primarily due to the university students in the city, the gastronomic offering of Debrecen is becoming increasingly multicultural, and obviously the local and Hungarian specialties are harmonically completed with the tastes of international cuisine. Today the city boasts of restaurants, catering units making Greek, Thai, Chinese, American, Italian, Indian and Japanese dishes. Honey cake baking was a handicraft of Central European roots and long traditions in Debrecen from the early 18th century. 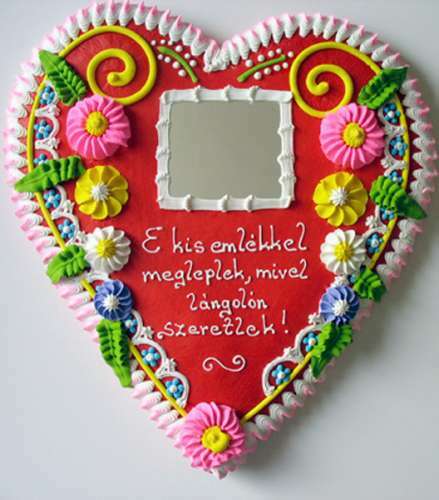 To shape the honey paste, the artisans of Debrecen used distinctive honey cake molds whose carving was part of the trade. The old molds tell stories of the design culture and carving techniques of long-gone centuries. The most popular one was the round disk shape, yet a lot of hearts, dolls and cavalrymen were also baked. Later, the same basic forms were given colourful decorations made with special techniques. Various types of honey paste are known. 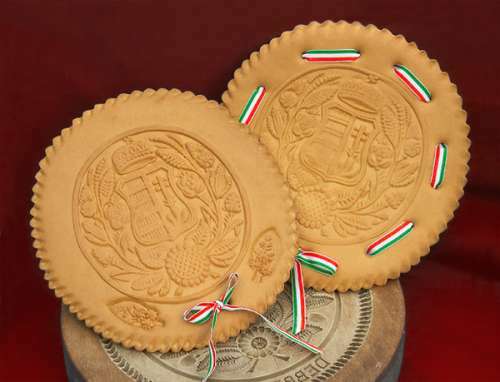 The oldest type of paste is the traditional “tokni” paste used for the honey cakes of Debrecen. It is a particular material made only in Debrecen – it is demanding to process, and well distinguishable from the other pastes. Still today, one can taste this sweet and special delicacy at a number of events of the city. All over the world, there are an increasing number of people who have recognized the role of healthy lifestyle in the prevention of diseases and permanently good general conditions. 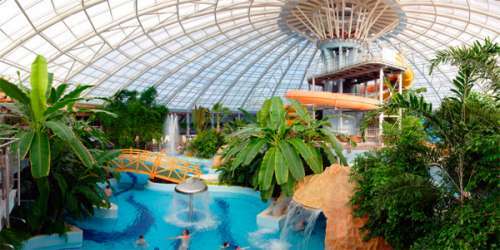 Debrecen’s Thermal Spa, which looks back on many years of bathing traditions, relies on its qualified medicinal water and 40 various treatments to help guests in seeking recovery – all this with the trustworthy safety offered by the nearby Health Sciences Centre. The wellness island of the four-star hotel in the complex renders approximately 60 different types of conventional and special services to those who want to grow in beauty, soundness and freshness. Those who simply want to feel good in the embrace of water are awaited by the Mediterranean water resort, which is a paradise for families as it offers several child- and baby-friendly services. Sliding, paddling, great atmosphere and rich tropical environment wait for water lovers. Yet, it is not only in Debrecen where the touch of nature can be felt. Around the city, the Wooded Grasslands with their arboretum, Vekeri Lake, as well as the nearby Hortobágy and Gúti Forest all hide treasures to find. 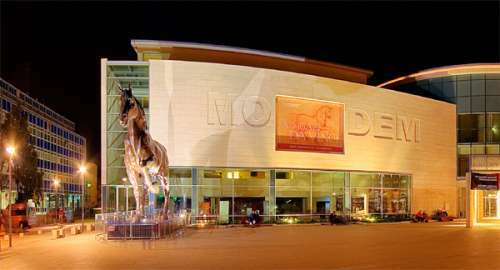 To the north, Debrecen is surrounded by the hilly terrain of Nyírség and the Wooded Grasslands with the Arboretum of Bánk. This landscape can be discovered by travelling by the “Zsuzsi” narrow-gauge train, or pleasant excursions can be taken by bike or on foot in these wonderful, undisturbed environs. 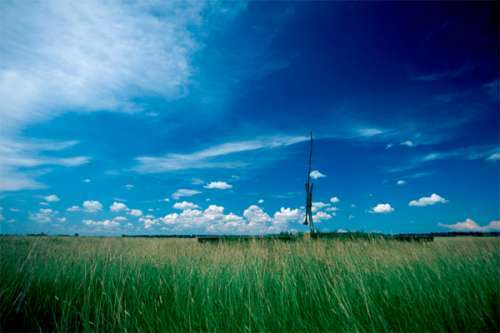 Today, the plains of Hortobágy belong to the Hortobágy National Park, a World Heritage site. 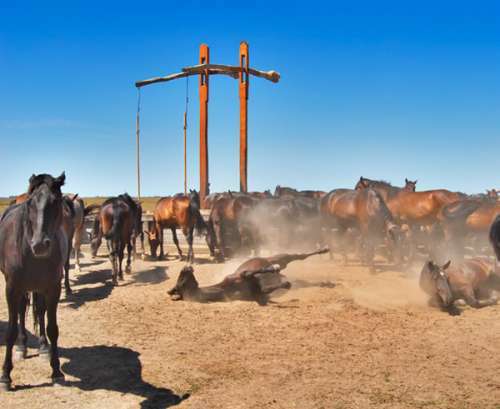 The demonstration of the local natural values is supported by a visitor center from where the lovers of nature can set out for exciting trips of discovery, both children and adults can participate in horse cart joyrides within the framework of the Puszta Program. From year to year, hundreds of thousands of visitors arrive here to see the special flora and fauna of the Hungarian Plains (Puszta), which is abundant in rarities, as well as the local values of ethnography, shepherd traditions. Still today, one can observe the grazing grey cattle herds, the flocks of long-wool sheep, Mangalica pig herds in the plains. In the scent garden accommodated in the Great Forest Cultural Park, visitors can see, touch and smell more than 60 fragrant, aromatic spices, herbs. 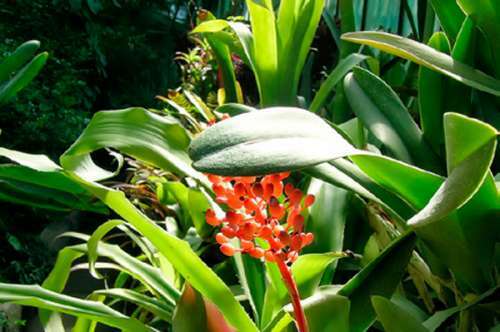 In addition to the plant species of the Great Forest and other domestic sites, the botanical garden grows various decorative foreign species and variants from all corners of the world. One can encounter here the Japanese banana from the western cost of North America, which survives our winters only under proper covering, as well as the Sichuan pine from China. The Palm House evokes the rich flora of tropical regions. The animal-stroking area and the playground are the favourite “resting sites” of children having become tired from walking among the plenty of things to see. In the Great Forest, an unforgettable sight is the palm house of the Botanical Garden where tropical and subtropical plants are nurtured. The orchids in wonderful colours and the collection of desert plants are unique spectacles for visitors. The most valuable plant of the greenhouse is a cc. 80-year-old gymnosperm with huge leaves, resembling the sago palm. This plant is regarded to be the oldest specimen of this species in Hungary. Highly frequented plants include the tropical melon tree, the fragrant climbing vanilla, the pineapple and the favourite of children: the mimosa closing its leaves upon any light touch, which everyone tries. The cactus house hosts more than 150 genera with 2,500 different species and subspecies, in various shapes and sizes. 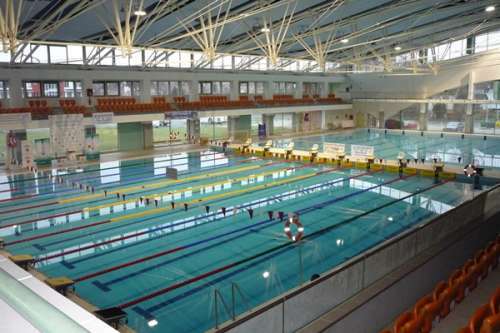 The Debrecen Swimming Pool which is one of the most modern sport facilities in Hungary is operated by the Debrecen Sportcenter Nonprofit Limited Liability Company from December 2008. 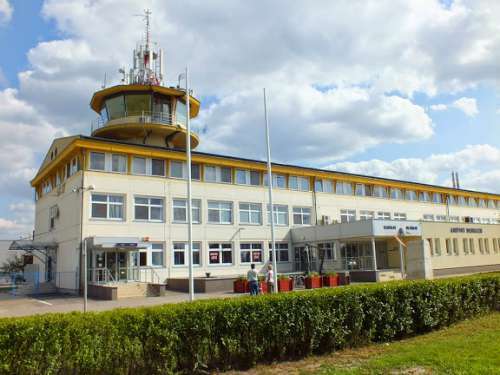 The swimming pool complex offers a long course (50 m) competition pool, a short course (25 m) training pool, a learner pool, a Jacuzzi, a Finnish sauna, and an outside thermal pool (34-36 celsius). The Debrecen Swimming Pool is a perfect place to organize swimming, synchronized swimming, and water polo events and competitions. It is also an ideal place to arrange training camps. The Debrecen Swimming Pool hosted numerous prestigious events since 2006 with the help of Krisztina Egerszegi, five time Olympic champion. These events include the Hungarian National Short Course Swimming Championship and an international water polo cup that was won by the Hungarian national team.The most notable event was undoubtedly the XI. European Short Course Swimming Championship in 2007 where the Hungarian National Team won 4 gold, 2 silver and 3 bronze medals. Address: H–4024 Debrecen, Piac u. 20. Graphic design: Kaméleon Dizájn Kft.